Over the centuries, the western alphabet has been studied, measured, standardized, and its letter shapes broken down to its core components. 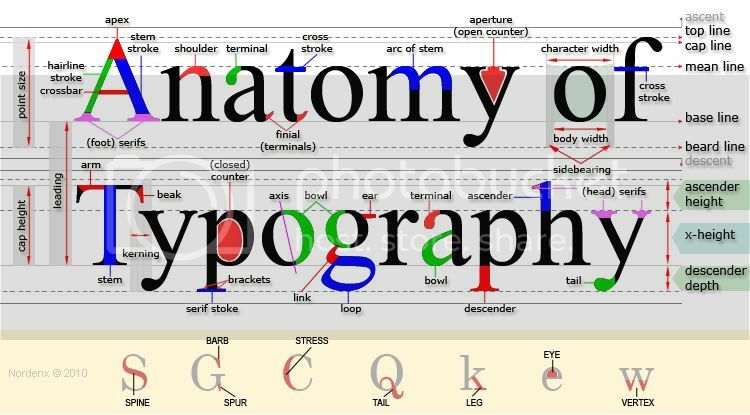 Modern print even analyzed every stroke and flourish and given them names and terminology as well as cataloged them by style, form, and function. When it comes to typography, baybayin is still uncharted territory. Standardization is needed for modern baybayin. However, "Modern" does not mean "bastardizing" the script by adding new characters or modifying existing ones without precise & careful comparative consideration to tangential scripts; (Brahmic/Indic) origin, (Malay/Kavi) related, (Mangyan/Tagbanua) living, and (cataloged/printed) historic. 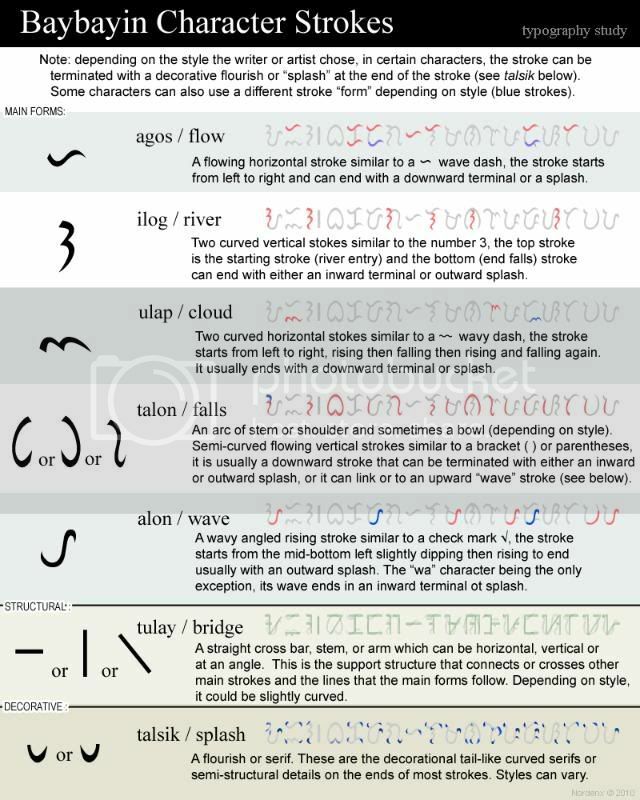 I find that breaking down each baybayin character or glyph to its most basic strokes and forms helps in understanding these origins and relationships. There are 5 main forms, each form is an individually stylized stroke or series of simple strokes. These forms are supported by one or two structural & decorative elements. The structural element determines the direction of the main form (horizontal, vertical, or angled). These 5 forms and 2 support (structural & decorative) components are the most basic & consistent strokes of baybayin characters. These are based on all the samples (handwriting & print) found in books & manuscripts from 1600s up to the early 1900s and also compared with Brahmic/Indic, Malay, and our living scripts. I have been studying each individual baybayin & related script's characters and found every shape & form correlations. I will publish my findings for each and every letter/glyph and share a few of them with you here soon. The more precise info will be included in my book.